This spring . . . another one was born. I’m now offering those exclusive kits that you could only find in Nichol’s class right here on my website. Which now launches a new series called Simplicities. With Simplicities, you’ll have everything you’ll need to whip up your page. It’s like ‘Sketch Meets Page Kits’. The sketch is laid out. The pieces you’ll need are there. 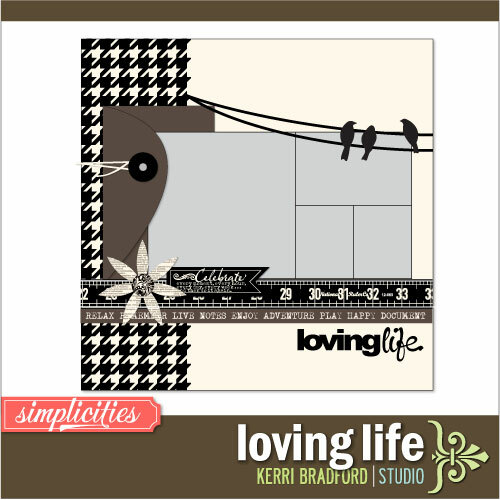 All you’ll need is some patterned cardstock and you are ready to go! But, of course, you can use any component for any page. 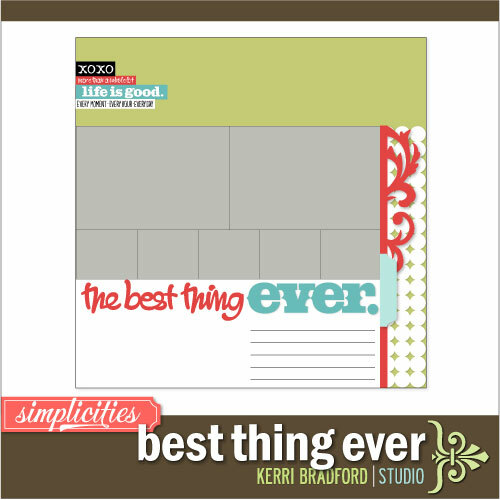 These first two page kits have a photo template (PS/PSE), title, some printables, embellishments and background pieces. Keeping it simple and quick. Because, after all, you want to spend more time making the memory than scrapping it, right? I bring you . . .
Just look for the little pink tag in the store for the Simplicities line. AWESOME Kerri!! I think I will need to review some of your tutorials if I want to go forward on this one…but I DO love both so I’m sure it will be well worth the effort! These look really fun, can’t wait to try them. Do you have a tutorial for the subway art? I may have just missed it, thanks. Speaking of “the best thing ever”, I just have to say – through your Silhouette classes I. have. learned. so. much!! Seriously, I am not only feeling super creative with my scrapbook layouts, but now I am thinking up other applications for my new-found skills. I have designed a new logo/letterhead for our family business. And, my newest venture, drawing up plans for additions/renovations (which I have done with pencil and paper for so long) with the Sil Designer edition. I know there are CAD programs for this (which are somewhat cumbersome), but I have the Sil at home and the Sil is what I know at the moment, so I am going with it! “Oh, the places you’ll go” is right! Thanks so much Dawn! It’s totally liberating when you can start doing stuff that you wanna do, isn’t it?